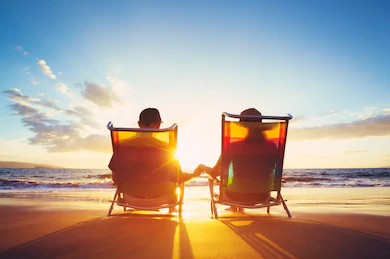 Longevity and Retirement Income | Quest Capital & Risk Management, Inc.
What’s Wrong with the Conventional Wisdom for Investing in Retirement? We’ve all heard the conventional investing wisdom, that as you approach retirement, you should begin moving out of “risky” stocks into “safe” bonds and other “conservative” investments. Many investors believe this to be common sense. But let’s think about this tenet’s fundamental premise. It is built on the belief that the basic challenge of investing in retirement is preserving your principal. Since bonds are believed to be “safer” than stocks in terms of assuring principal, they are thought to be more appropriate for retirees. But here’s where the conventional wisdom breaks down. Never before in the history of mankind have we had a generation retiring in their 60’s and living upward of thirty years in retirement! The increasing longevity of our generation suggests the exact opposite approach. As the years in retirement become an ever larger portion of our lives, the length of time you will need inflation-adjusted income increases, and the more bonds become “risky” and stocks become “safe.” Retirement is essentially an income challenge. How do you create a growing stream of income for life? Therefore, the real challenge in retirement is not how to protect your principal, but rather how will you grow your income? When you are working, your income and your investments are two separate entities. In retirement, the two become very intertwined, as most people will have to use their investments to produce at least some of their income. As well, data has shown that over a 30-year retirement, the cost of living has risen nearly two and a half times. Which means, in order to preserve your purchasing power over that time frame, you need to have a plan in place to grow your income by two and a half times! It seems, then, that the most common-sense investment strategy in retirement is to invest for an income that has historically risen with the cost of living. Conventional wisdom being as powerful as it is, it may surprise you to learn that stocks have historically done that more reliably than bonds have. Now, consider you may be taking income out of this portfolio to pay your bills, your house, buy your groceries, to a tune of withdrawing 4% or 5% annually. Can you see how bonds start to become anything but safe? I believe you will see that during a 30-year time horizon in which you will need to grow income, you can begin to define true long-term safety in terms of purchasing power. Most investors will need a plan in place to grow their investments in order to have the income derived from those investments keep pace with inflation and maintain their lifestyles. The implications of this is important as it upends the conventional wisdom regarding asset allocation in retirement portfolios: bonds, risky, stocks, safe. It’s important to note that we do not trivialize the emotional toll that volatility with stocks can take on the investor, particularly the retired investor. Nor do we ignore the risk of withdrawing from a volatile portfolio, particularly when the portfolio has lost value. That’s a big part of the value we as an advisory team bring to our clients: to coach you through those volatile times, to have a plan in place that helps to mitigate withdrawal risk (taking money out of a portfolio that is down in value) and to remain confident and constant in the all-weather investment strategy we helped you develop. Living longer, more active lives is a gift given to this generation; however, it does present the retiree with additional risks and challenges. These challenges can be managed with careful income and investment planning. The end game is to solve for retirement’s biggest challenge: create a growing stream of income for life, so that you can live the life you worked hard for. Please give our office a call if you have any questions on anything above or would like to speak with us regarding creating your income and investment plan for retirement!